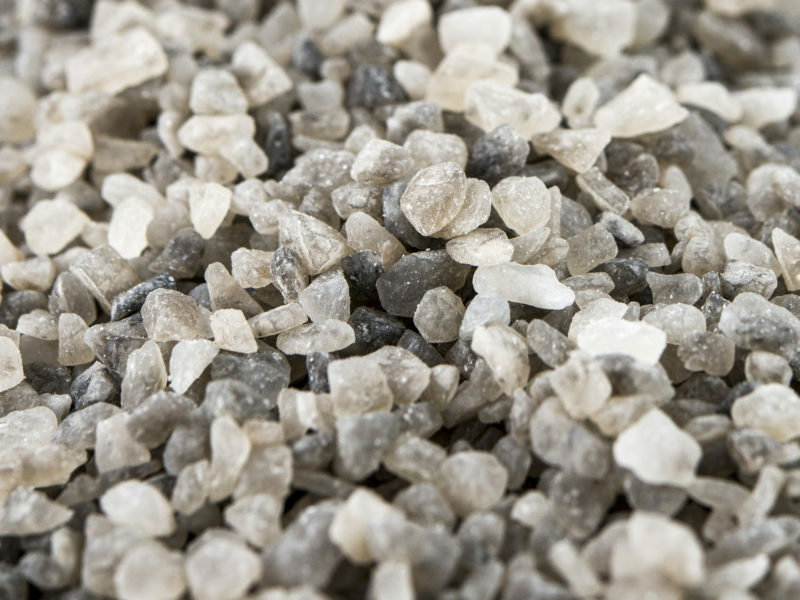 Our Polysulphate is proudly produced in Britain and sold in 22 countries across five continents. This is the only polyhalite product available in the world and it comes from ICL Boulby. We first investigated polyhalite in 1999 and have been researching its potential ever since. With commitment like that, it is no wonder we are the first and only polyhalite producer in the world. Polyhalite is a new, organic fertilizer produced and sold exclusively by ICL Fertilizers under the brand name Polysulphate. Field trials have proven that it is an effective crop fertilizer. 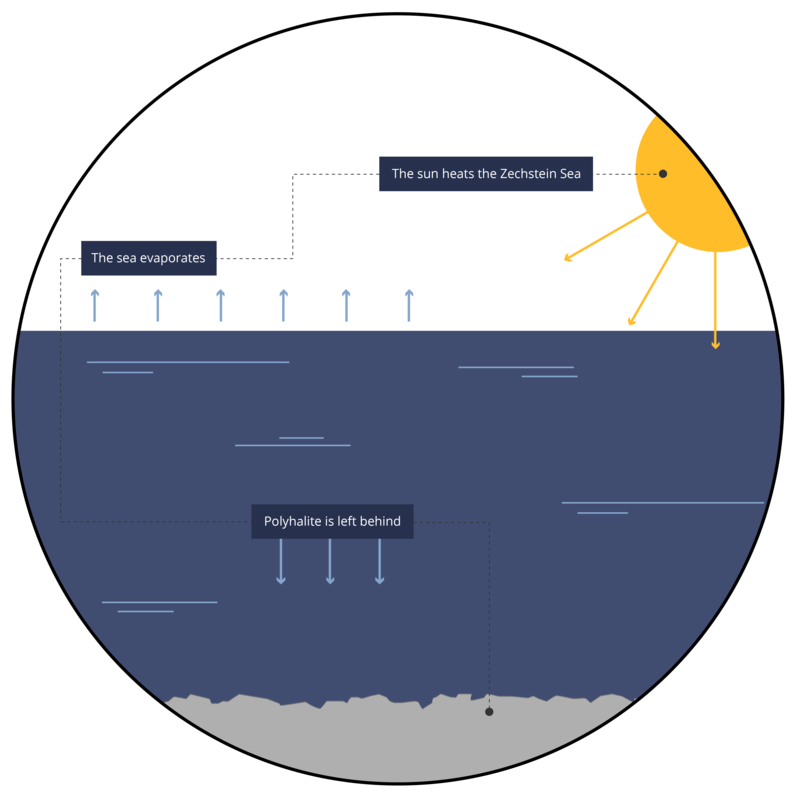 It is found over 1,200m below the Earth’s surface, under the North Sea along England’s north-eastern coast. Polyhalite comes from the polyhalite layer of rock, deposited 260 million years ago. Polysulphate is a multi-nutrient fertilizer. It contains readily available sulphur plus potassium, magnesium and calcium which ensures increased crop yields and improved crop quality. In September 2010, we reached the main polyhalite seam with samples being brought to the surface for the first time – ever. And with surveys showing that potash reserves are dropping globally, there’s never been a better time to mine this exciting new fertilizer. In a world where populations continue to grow and the food demand consistently increases, it’s important to farm as efficiently and sustainably as possible. This is where polyhalite, our new natural jewel, provides the answer. Polyhalite is available in its natural state. There are no chemical processes meaning it is a fully organic, sustainable fertilizer with a low environmental footprint. Both a granular and powder product, this fertilizer has fantastic spreading characteristics and can be used alongside other fertilizers such as nitrogen, complementing their benefits. UK field trials have shown a 40% yield improvement with the application of Polysulphate. What’s more, Polysulphate helps to replace the potassium lost during harvest times, particularly with straw-like crops such as cereals, making it a complementary addition to routine fertilizer cycles. Polyhalite was deposited around 260 million years ago. At that time, the Permian era, Europe was much further south. Boulby was situated on the edge of a broad, shallow ocean called the Zechstein Sea. The prevailing hot and dry conditions at the time meant it evaporated quicker than it could be re-filled, leaving behind polyhalite, halite and potash minerals that we mine today. Polysulphate is the product derived from the polyhalite mineral that lies 150m to 170m beneath the Potash Horizon at Boulby Mine. It is available in its natural state and is approved for organic use by Soil Association and Organic Farmers & Growers. Visit the Polysulphate website to learn more.